Super quick to make! 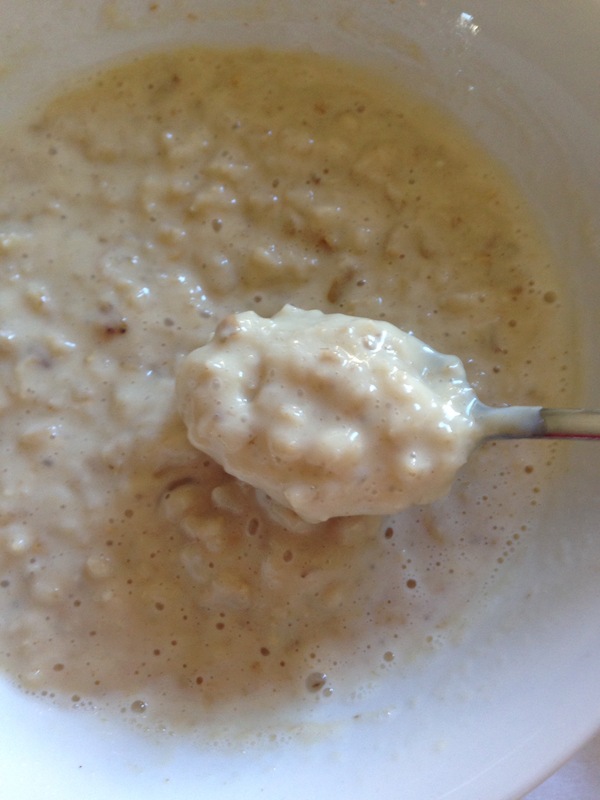 Add 1/3 cup rolled oats and 3/4 cups water to a pot & bring to the boil – cooks in about 4 minutes. Pour out into a bowl & mix in 1 tsp sugar & salt free peanut butter and 2 drops stevia. Top off with a little milk! My interest in food and nutrition was recently sparked after my personal mission and journey to get healthy. I have always enjoyed spending time creating in the kitchen and watching Master Chef type shows, however I did more baking than cooking. I loved making desserts as they satisfied my sweet tooth and were enjoyed by family & friends, but that's all they were, 'a temporary [sugar] high', 'a moment of satisfaction'. After embarking on my #MissionHealthy I started spending a lot more time in the kitchen trying to create healthy, tasty meals. Now I love trying to make new dishes that are healthy but also satisfying; as well as learning how to create healthy treats & desserts. After experiencing the power of a healthy diet first hand, I truly believe that food is medicine. The right diet can make you a happier, healthier, best version of yourself. The end result/reward being a better quality of life overall.